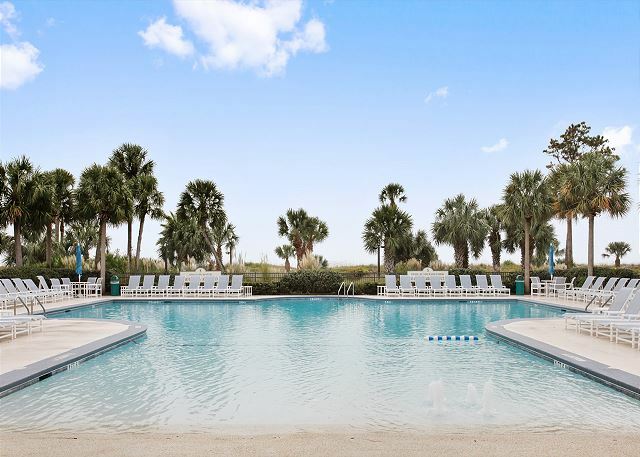 Shorewood Villas is in the heart of South Forest Beach and a short stroll over to Coligny Plaza, where you can find shopping, dining, or maybe just some ice cream. 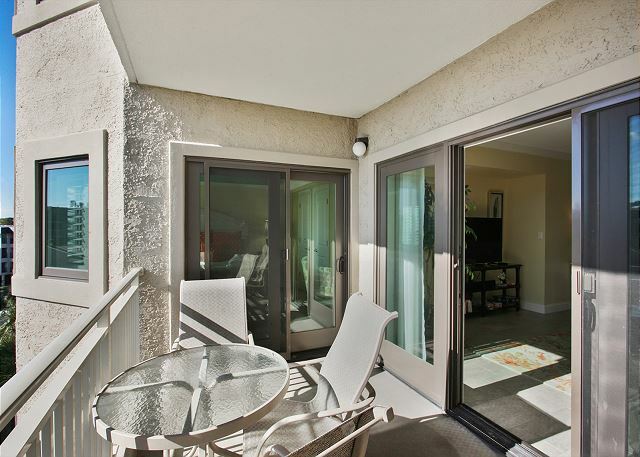 Shorewood 437 has two full size baths, the master has a walk-in shower. 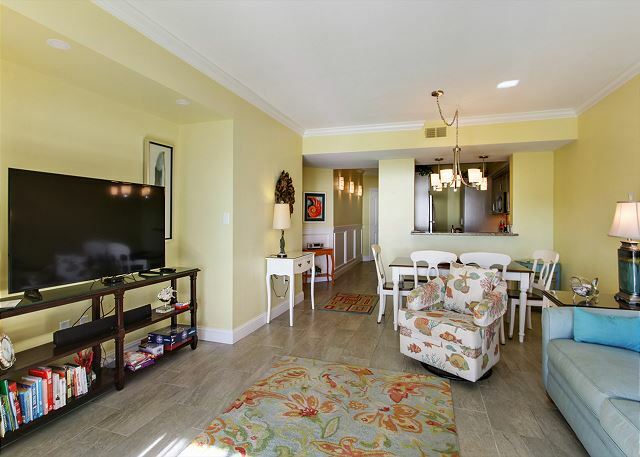 There is a spacious living and dining area with a 55 inch Flat Screen TV. 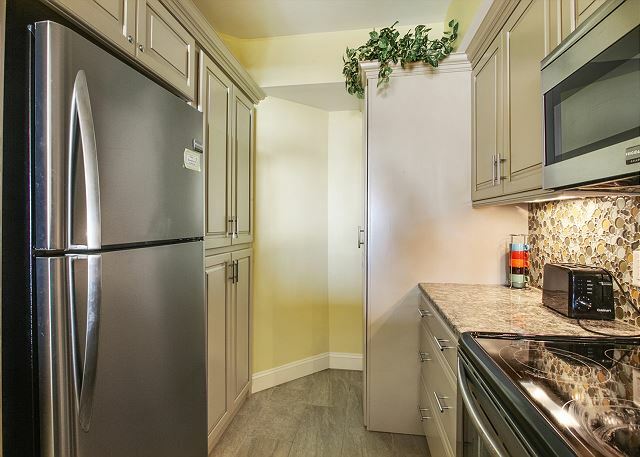 The unit has a full-size washer and dryer. Shorewood 437 has been decorated beautifully and has all of the comforts of home. 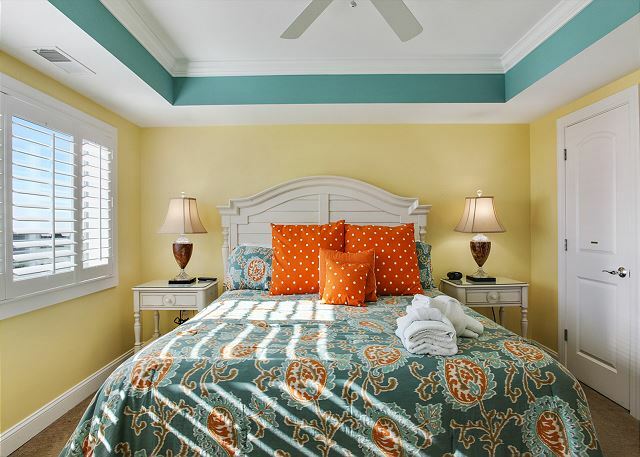 Each bedroom has a large ceiling fan for those warm days. King in the master, 2 Twins in the 2nd plus a queen size sleeper sofa in the living room. 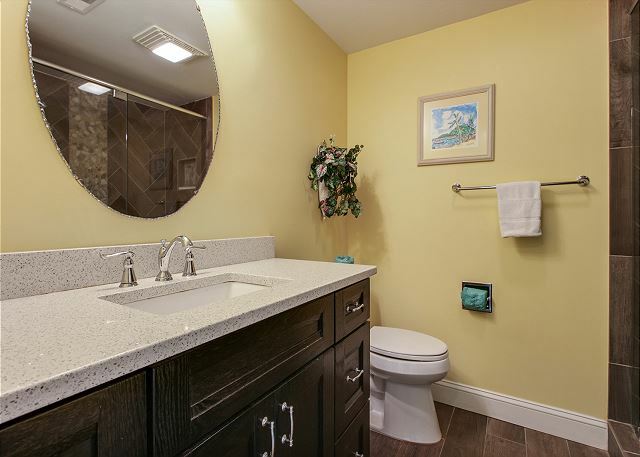 Shorewood is a private gated community with a beautiful brand new pool area with includes bathrooms, hot tub, and a childrens pool. 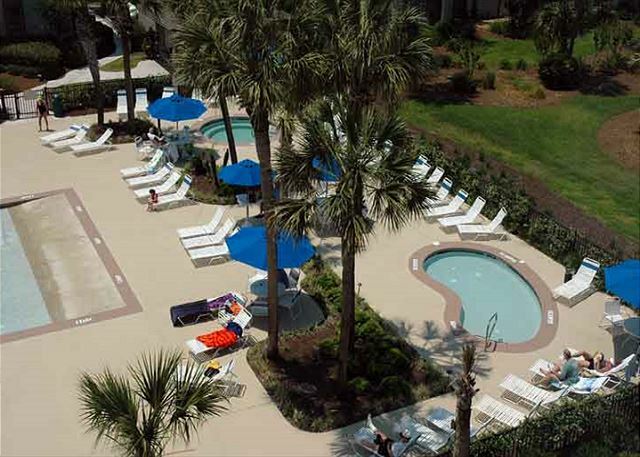 Pool is Heated March 1 - April 30 and Oct 1 - November 30. We actually rented 2 condos In Shorewood. Both were clean and almost like home. 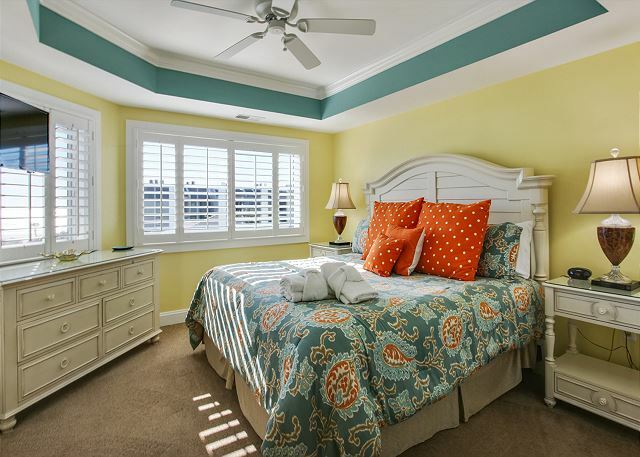 We have rented through Seashore Vacations for 28 years and have never been disappointed. Their owner truly understands his business. I would highly recommend Seashore Vacations!! We love everything about this place. 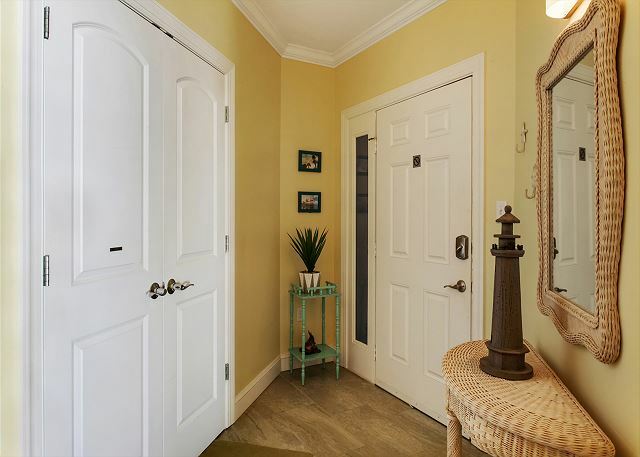 It is a beautiful condo that has been renovated in the last couple of years and you can tell the owners take pride in it unlike many others I've stayed at over the years. The beach is beautiful. We had a the best week ever. 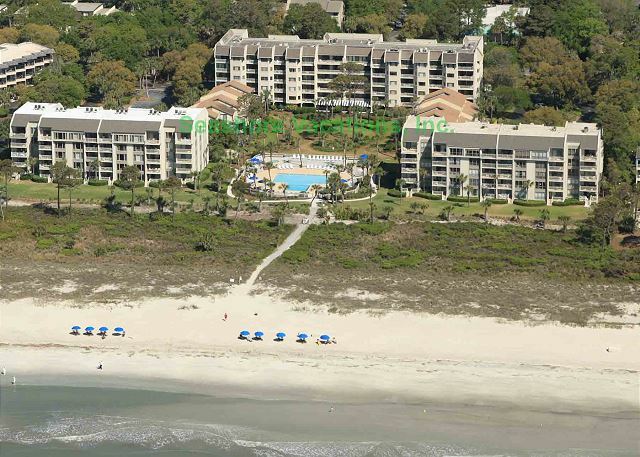 Our family enjoyed staying at 437 Shorewood during our vacation at Hilton Head. This was our second year staying here. It has a very nice view of the ocean. We hope to come back again next year. Unit and complex were great. Management company very professional. We enjoyed our time at Shorewood 437. The condo was wonderful and had everything we needed. The only suggestion I would make is to install ceiling fans in the bedrooms. It got very stuffy at night. Another fabulous S Forest Beach/HHI vacation! How difficult can it be? Go online and check out the properties available and select what meets your needs. We've found the South Forest Beach area, and in particular, Shorewood, to be top notch. 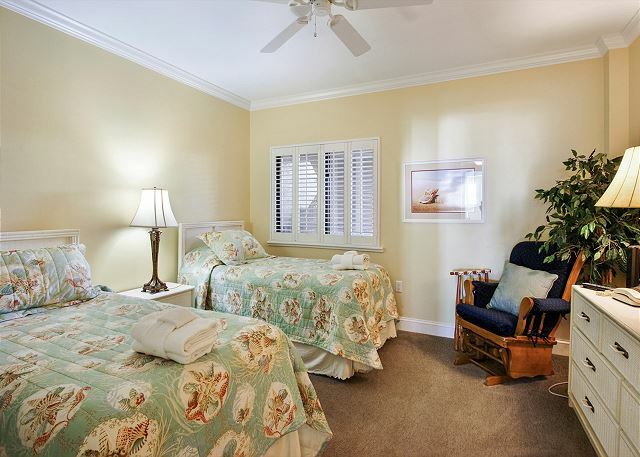 We love being close to Coligny Plaza which has everything you might need and the beach is only a few steps away. What makes this our vacation of choice? 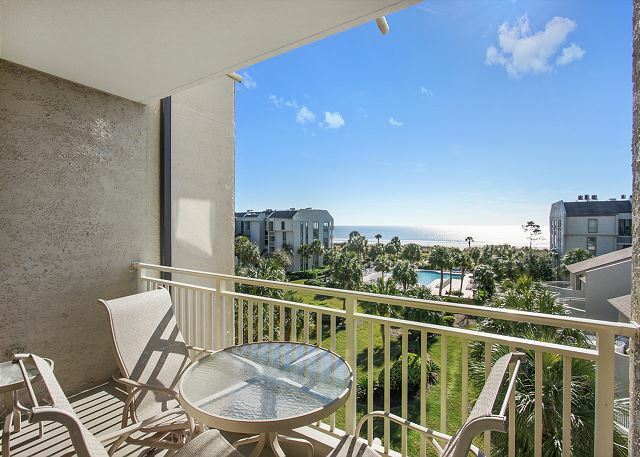 Great rentals/great property mgmnt/ ocean front/ bicycle rides everywhere, especially on the beach, great seafood and great weather. 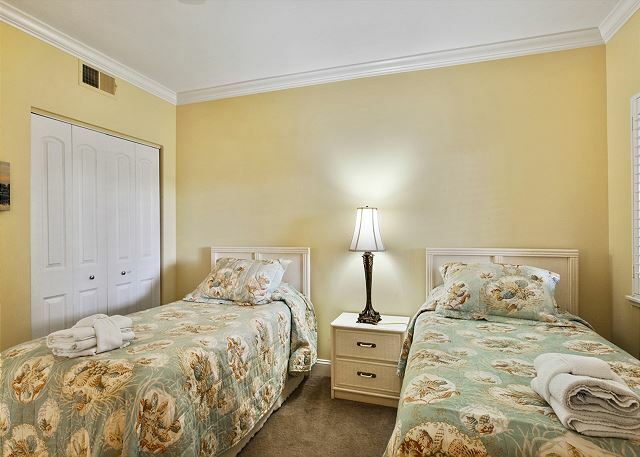 Plenty of activities to choose from and everything is well cared for and clean. We would definitely stay in Shorewood 437 again. 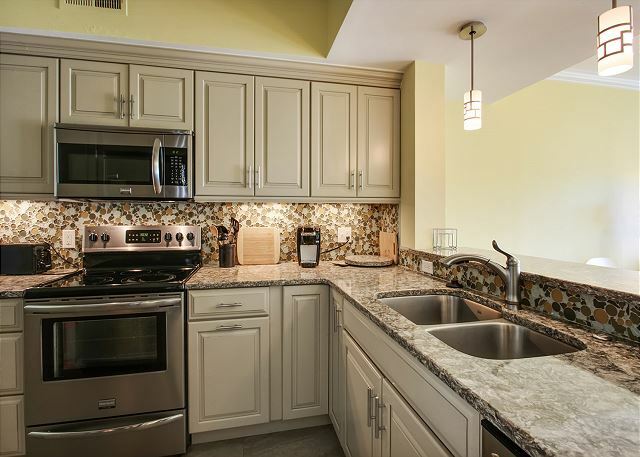 Clean, great beds, great washer/dryer, great view, newly renovated 2 BR, 2 bath unit. Very nice, updated unit. This location is great, a short bike ride or walk to great shopping, entertainment and food. 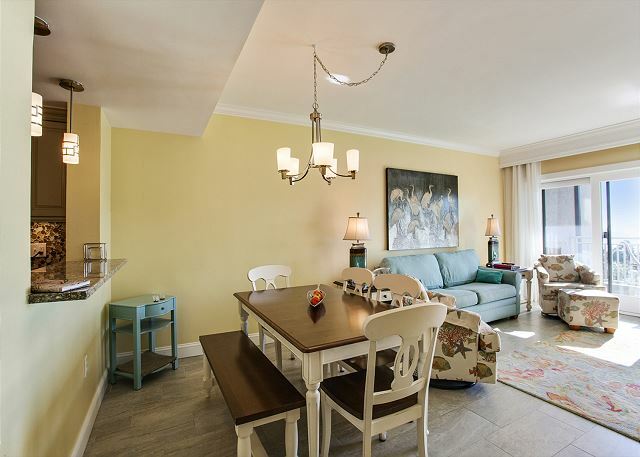 We have been staying at the Shorewood for many years and this stay was exceptionally enjoyable due in part to the beautifully remodeled 437 villa! 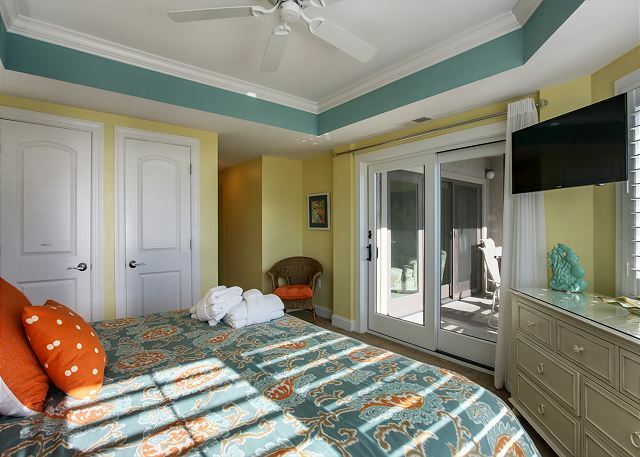 A great ocean view and lovely accommodations! We will be returning for sure. 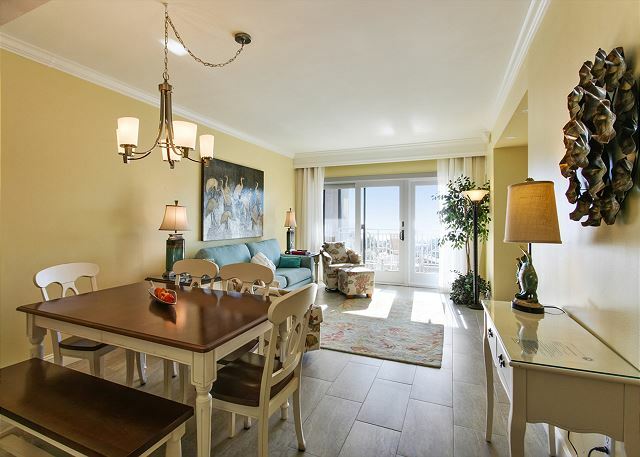 Beautiful condo, completely renovated, great view! 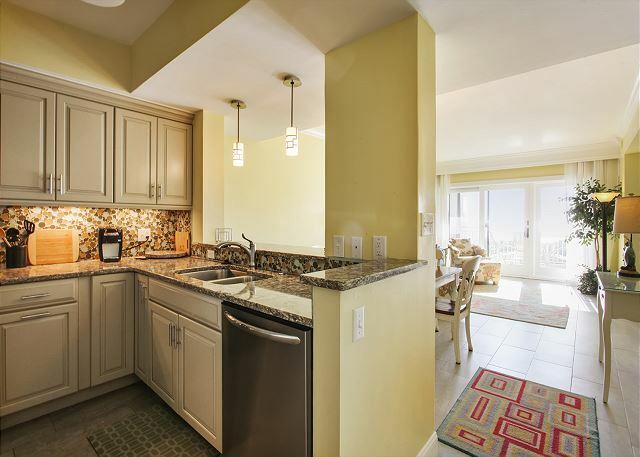 437 Shorewood Villa was a lovely place to stay for vacation! 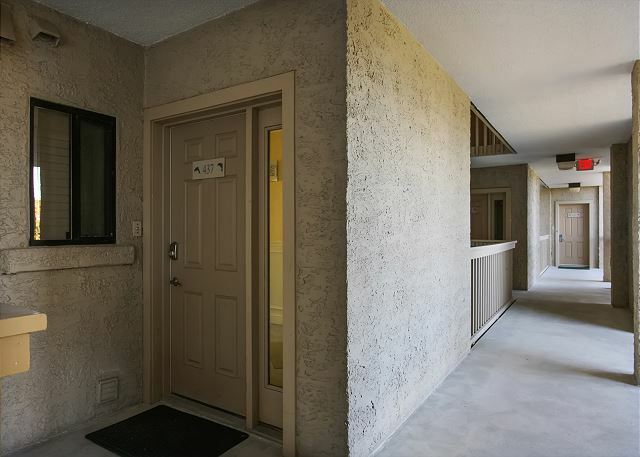 The unit has been completely renovated and feels brand new. 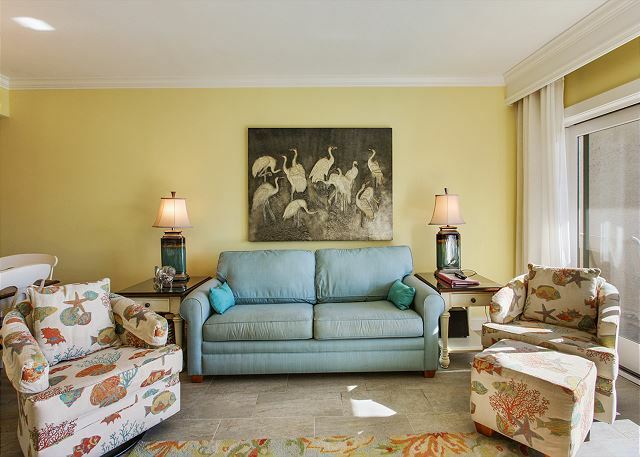 My compliments to the decorator as the dcor was modern, tasteful, and upscale with a nice balance of color and beach themes without it overwhelming the guests. Let me first mention a couple suggestions that were not critical but might be helpful. Consider upgrading to high definition for the television reception. We werent at the beach to watch TV but the womens World Cup in progress and we struggled to make out the time, the score, and identify players. Provide a broom and dust pan. 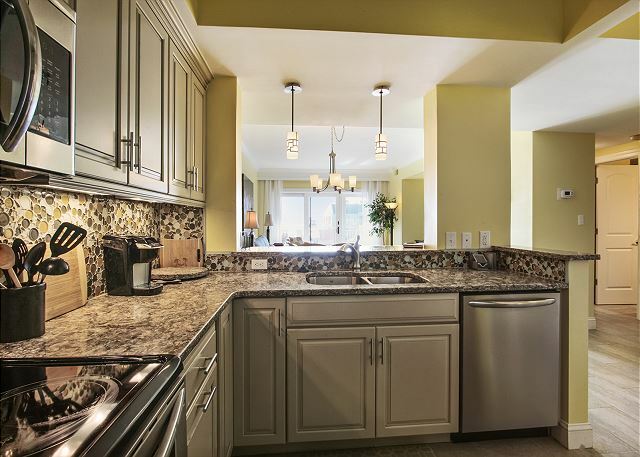 Nice upgrades in the kitchen and bathrooms. 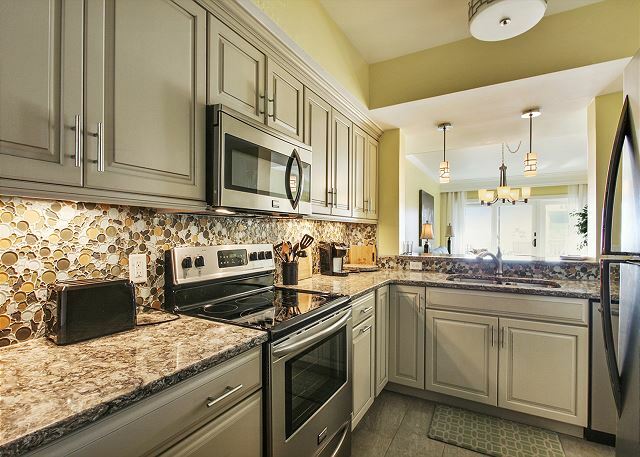 Loved the countertops and all the soft-close cabinet and vanity doors and drawers! Tile floors made it easy to keep clean (though would have appreciated a broom, used the vacuum). The balcony was larger than expected, with a table and four chairs. My whole family was able to eat breakfast every morning on the balcony with a view of the ocean. The pool upgrade was very nice, contributed the beautiful view. The condo was quiet. The family staying next door were friends of ours and the parents were continually apologizing for the noisy kids and the bouncing soccer balls but we never heard them. Keyless entry to the unit was very convenient. No keys to keep up with or return! The rental company, Seashore Vacations, was very nice and helpful; easy to work with. Convenient location to about anything on the island. The owners left a binder with their story, the condos history, and before and after photos that demonstrated the renovation. It was a nice personal touch. ? The list could go on. I would definitely stay there again and recommend it to others! Thank you for such a nice place! and we had 3 condos. Pool great and spent about half time at the beach also. very helpful and wanting to please to make your vacation a great one. T hank you for some wonderful family memories! We have been to Hilton Head many times but this is the first time that we have stayed at Shorewood and it won't be the last! 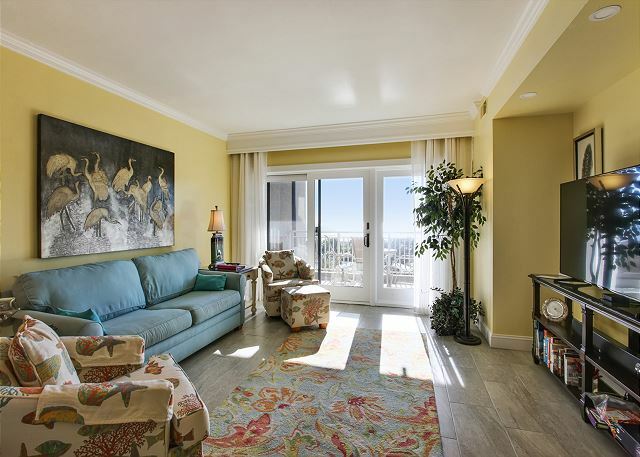 Our family of 5 loved #437 with all its new renovations and fantastic view. My daughter especially loved watching the dolphins from our balcony at sunrise. 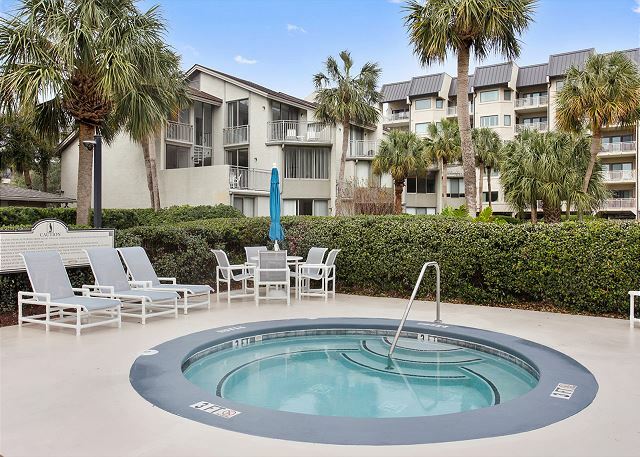 It is SO convenient to be able to walk right out to the beach (you can't say that about a lot of places at HHI) and the pool was very nice. We have a 9 yr old, a 5 yr old, and a baby and we all enjoyed the zero-entry pool with fountains. The tide pools were a great source of entertainment for the two older kids. The supplied sand toys and chairs were a nice touch too. The condo was nicely furnished and the second bedroom was even big enough to accommodate our pack-and-play. It was easy to get to and convenient to the grocery store, the Salty Dog, and other restaurants. We had a great time here! 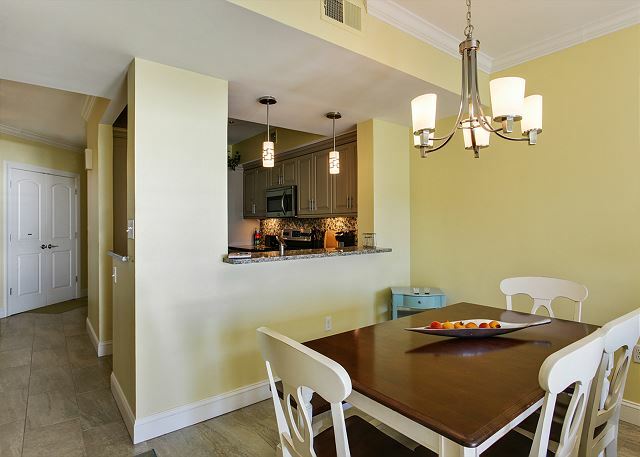 The renovated condo was very nice and perfect for our family with small children. The only thing that could improve is the noise from above. I should also mention this place has a great pool! 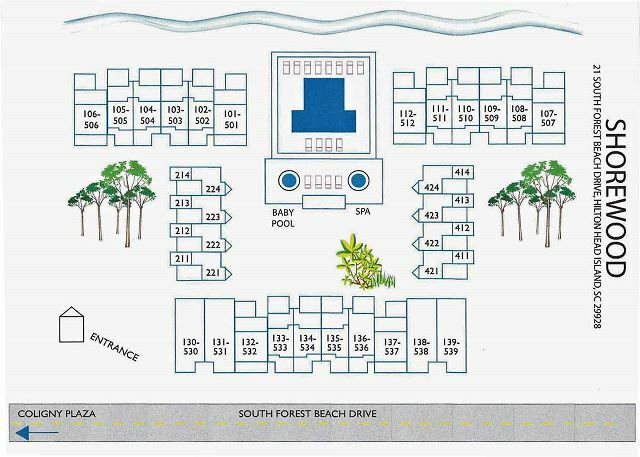 Seashore Vacations is always a great company to work with - very nice folks. 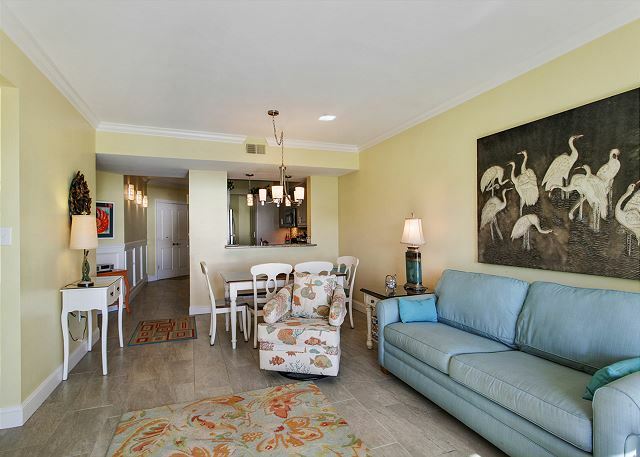 Shorewood 437 is one of the best condo's we've ever rented. 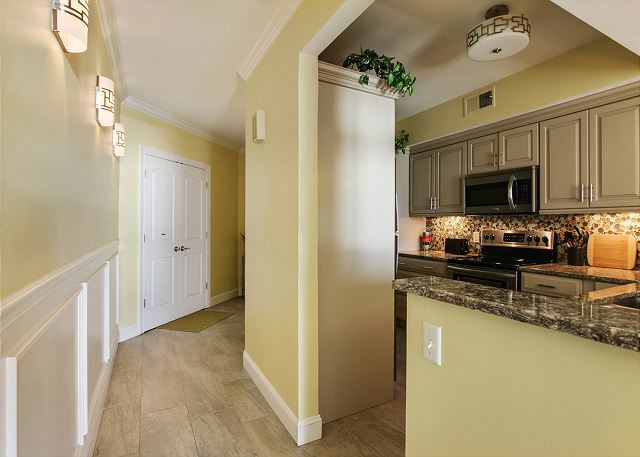 Shorewood 437 has undergone a complete renovation during the 2014-2015 winter season. 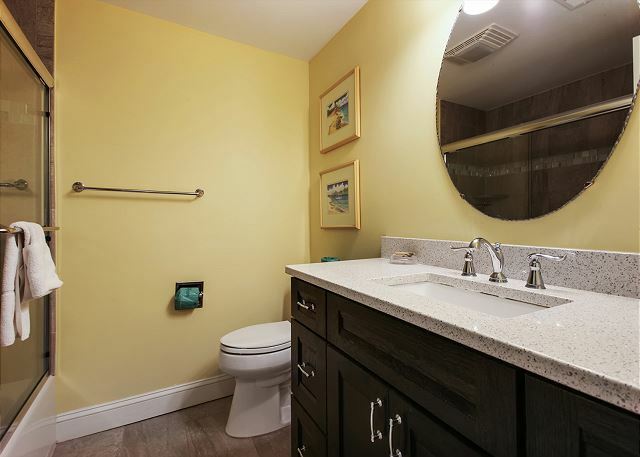 New photos reflect upgrades to TV, couch, seating areas, all new bathrooms and kitchen renovation along with new beds and bedding. 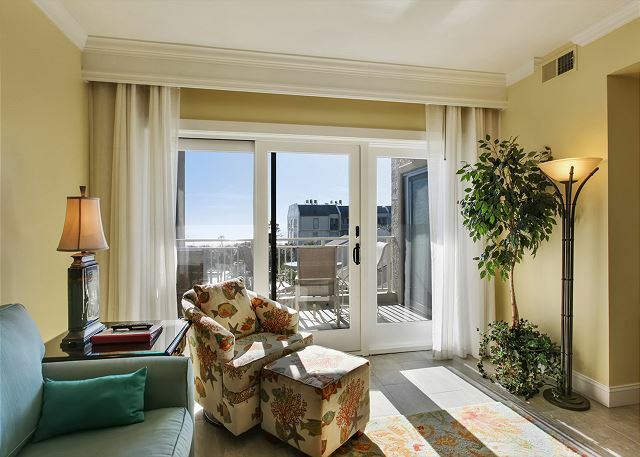 This is truly a great unit with oceanfront views and brand new interior.